The bodily resurrection of Jesus Christ from the dead is the foundation upon which the Christian religion is built. It is just this simple. If Christ was not raised from the dead, Christianity is a hoax! If Christ hath not been raised, then is our preaching in vain, your faith also is vain" (vs. 15). If Christ hath not been raised, your faith is vain [mataios — without results]; ye are yet in your sins. Then they also that are fallen asleep in Christ have perished. If we have only hoped in Christ in this life, we are of all men most pitiable" (vss. 17-18). And so, our faith stands or falls on whether or not the resurrection of Jesus actually occurred. ... is found to be in the most decisive contradiction with scientific natural knowledge which confesses the inescapability of death as the destruction of individuality with its physical and psychological peculiarities (Harrison, 455). The fact of the matter is, though, the question of the resurrection is not a matter for science to address. Science cannot consider any question beyond its ability to investigate. As biologist Paul Weisz put it: “One-time events on earth are outside of science” (4). The question of Christ’s resurrection is a matter of history, and its factuality must therefore be determined in the light of historical criteria. 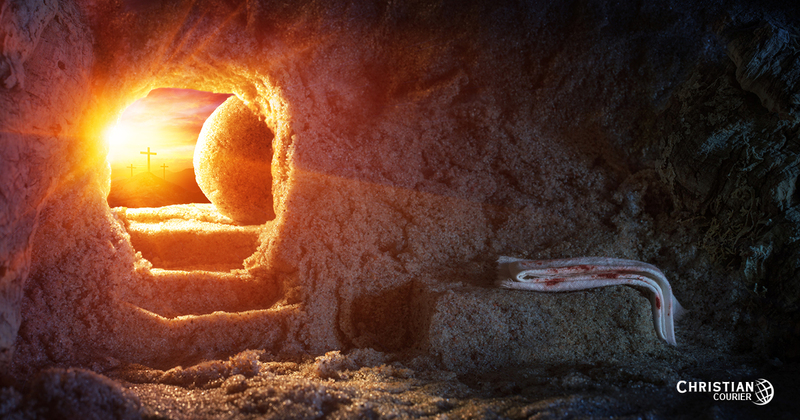 What Does the Bible Say About Christ’s Resurrection? Unquestionably the Bible affirms the bodily resurrection of the Lord. Let us note three areas of information. The Old Testament by means of typology and prophecy announced the resurrection. When Abraham offered up “his only begotten son,” he believed that God was able to raise him from the dead, “whence he did also in a figure receive him back” (Heb. 11:17-19). This was typical of the resurrection of God’s only begotten Son. Jonah’s three days and nights in the belly of the great fish were typical of the Lord’s entombment for the same period prior to his resurrection (Jon. 1:17; Mt. 12:40). For thou wilt not leave my soul to Sheol; Neither wilt thou suffer thy holy one to see corruption (Psa. 16:1O). The inspired apostle Peter showed that this prophecy cannot refer to Israel’s great king personally, for his body did experience decay and his tomb was testimony to that fact. Rather, the prophet spoke of the resurrection of Christ (cf. Acts 2:29-31; Acts 13:33ff.). On numerous occasions, Jesus foretold his coming resurrection from the dead. For instance, to the Jews Christ said: “Destroy this temple, and in three days I will raise it up.” John adds, “he spake of the temple of his body” (Jn. 2:19-21). Either Christ was raised from the dead, or else he was a false prophet! The declaration of a risen Lord is the very heart and soul of apostolic preaching and writing. Everywhere the apostles went they shamelessly announced that the scandal of the cross was negated by the victory of the empty tomb. The New Testament is saturated with confident declarations of Christ’s resurrection. Where Is the Lord’s Body? Since it is an unassailable fact that Jesus lived in first-century Palestine, and that he was crucified and buried (so asserts Christian, Jewish and pagan history), the intriguing question is this. What happened to the body of Jesus Christ? No honest historian can avoid this query. It is still buried in some unknown Palestinian grave. It was removed from the tomb by the Lord’s enemies. It was removed from the tomb by the Lord’s friends. It arose from the dead and is now in heaven. Let us briefly consider each of these. It is simply not historically tenable that Christ’s body is still interred somewhere near the city of Jerusalem. Why? For this reason. It will not do to suggest that the officials did not know where Jesus’ body had been buried, because they had assigned soldiers to guard it. Further, the tomb had been sealed (see Mt. 27:62-66), and records would have been available to document where the body of Christ had been lain. Did Christ’s enemies steal his body? It is equally absurd to argue that the enemies of Christianity stole the body of Jesus. On the day of Pentecost, Peter and the other apostles proclaimed the resurrection of Christ. Those enemies could have abruptly dumped the corpse of the Lord in the midst of that crowd and the Christian Way would have died with but a whimper ... right on the spot! Did the apostles hide the body? The common allegation of infidelity has been that the disciples of Christ confiscated his body and contrived the story of the resurrection. This, in fact, was the tale fabricated by the chief priests who bribed the solders to claim that “His disciples came by night, and stole him away while we slept” (Mt. 28:13). How brilliantly imaginative — sleeping witnesses! And the apostle Matthew, writing at least two decades after the resurrection, observes that this ludicrous rumor “was spread abroad among the Jews, until this day” (Mt. 28:15). In fact, the story continued many years beyond Matthew’s time. Justin Martyr (c. A.D. 165) referred to it in his Dialogue with Trypho, and it is repeated in a document known as the Toledoth Jesu, thus proving that the Lord’s body was never found (see Edersheim, 637). Besides, what possible motive could have possessed the disciples to steal the body and then claim a resurrection when they had not even anticipated the resurrection (cf. Mk. 16:11-13; Lk. 24:1Off; Jn. 20:25)? And what did they gain by telling the resurrection story? They gained nothing but torture and death! While men may sacrifice their lives because they are deceived, they do not willingly go to their deaths knowing they are perpetrating a hoax! Finally, there is that inexplicable problem of how the disciples breached that experienced guard of soldiers and made off with the body. The notion that the Lord’s body was stolen by his friends is at variance with the evidence. The honest student of history is, therefore, left with but one alternative — Jesus of Nazareth did actually rise from the dead! Luke, a physician (Col. 4:14) and first-rate historian, after having investigated the matter carefully, stated that Jesus “showed himself alive after his passion by many proofs” (Acts 1:3). He appeared on numerous occasions during the forty-day span between his death and ascension. The word “proofs” translates a Greek term that was used by the classical writers to “denote the strongest proof of which a subject is susceptible” (Alexander, 5). The post-resurrection appearances of the Lord that are recorded are as follows. Christ appeared to Mary Magdalene at the tomb after Peter and John had left (Jn. 20:11-17; cf. Mk. 16:9-11). The Lord appeared to a group of women disciples who had visited his empty tomb (Mt. 28:9-1O). Jesus appeared to Peter on the afternoon of the resurrection day (Lk. 24:34; cf. 1 Cor. 15:5). He appeared to two disciples on the road to Emmaus (Lk. 24:13-35; Mk. 16:12). Christ appeared to ten apostles on the evening of the resurrection [Thomas being absent] (Mk. 16:14; Lk. 24:36-43; Jn. 20:19-23). The Savior appeared to the eleven disciples on Sunday week following the resurrection [Thomas being present] (Jn. 20:26-29). The Lord appeared to seven of the disciples beside the Sea of Tiberias, and thrice asked Peter if he loved him (Jn. 21:1-23). He appeared on one occasion to more than five hundred brethren, most of whom were still alive when Paul wrote the letter called First Corinthians (1 Cor. 15:6), which demonstrates that the resurrection story could be checked. Jesus appeared to James (1 Cor. 15:7) — probably the Lord’s half-brother who formerly had disbelieved (Jn. 7:3-5). Christ appeared to the eleven disciples on a mountain in Galilee where he gave what is called the “great commission” (Mt. 28:16-20). The Lord appeared to his disciples on the Mount of Olives just prior to his ascension into heaven (Lk. 24:44-53; Acts 1:3-9). The Living One (Rev. 1:18) appeared to Stephen, his first martyr (Acts 7:55-56). Christ appeared to the apostle Paul at least three times: on the Damascus road (Acts 9:3-6), later when Paul was praying in the temple (Acts 22:17-21), and while he was in prison in Caesarea (Acts 23:11). Also, the Lord appeared to the beloved apostle John on the isle of Patmos (Rev. 1:12-20). Were the witnesses reasonably intelligent people — and not fools or wild hysterics? Were they honest individuals of worthy character? One of the foremost authorities on legal evidence ever to live in this country was the renowned Simon Greenleaf (1783-1853). He served as Royall Professor of Law at Harvard and later as Dane Professor of Law at Harvard. In 1852, he published his famous work, A Treatise on the Law of Evidence, which “is still considered the greatest single authority on evidence in the entire literature of legal procedure” (Smith, 423). ... impossible that they [the apostles] could have persisted in affirming the truths they have narrated, had not Jesus actually risen from the dead, and had they not known this fact as certainly as they knew any other fact" (Smith, 424). Numerous other highly-competent historical and legal authorities have testified in a similar fashion (see: Smith, 1974, chapter 8; McDowell, 1972, pp. 196ff). What is the significance of the resurrection of Jesus Christ to humanity? The resurrection was God’s exclamation point to the truth that Jesus was his Son. Though the Lord’s deity was demonstrated in a variety of ways — prophecy, the virgin birth, his teaching as buttressed by miracles — nevertheless, Christ was “declared to be the Son of God with power, according to the spirit of holiness, by the resurrection from the dead” (Rom. 1:4; cf. Acts 2:36). The resurrection proves that forgiveness of sins is available in Christ. Paul argued that if Christ hath not been raised, men are yet in their sins. The reverse of this statement indicates that by his resurrection, the Lord’s atoning death was validated. Since Jesus, by being raised, was the “first fruits” (i.e., the promise of a harvest to come) from the dead, his resurrection is God’s guarantee of the great resurrection yet to come. Death does not end it all, as materialists allege. The Savior’s resurrection, and his personal association with the disciples prior to his ascension, reveal that personal identity extends beyond death. Jesus was the same personality after his death as he was prior to it. The resurrection demonstrates the ultimate victory of Christianity over all of its opposing forces. The empty tomb was a prelude to the occupied throne — a throne upon which the Lord will sit until all his enemies have been vanquished (1 Cor. 15:25). Was Christ Raised from the Dead on Sunday or Saturday? Alexander, J. A. 1956. Commentary on Acts Grand Rapids, MI: Zondervan. Harrison, Everett F. ed. 1960. Baker’s Dictionary of Theology. Grand Rapids, MI: Baker. Edersheim, Alfred. 1947. The Life and Times of Jesus the Messiah. Vol. 2. Grand Rapids, MI: Eerdmans. Greenleaf, Simon. 1965 reprint. An Examination of the Testimony of the Four Evangelists by the Rules of Evidence Administered in Courts of Justice. Grand Rapids, Ml: Baker. McDowell, Josh. 1972. Evidence that Demands a Verdict. San Bernardino, CA: Campus Crusade for Christ. Smith, Wilbur M. 1974 reprint, Therefore Stand! Grand Rapids, MI: Baker. Weisz, Paul. 1965. Elements of Biology. New York: McGraw-Hill.